The current challenge over at Crazy4Challenges is to create a card with an owl. I loooove owls, so here is my card. 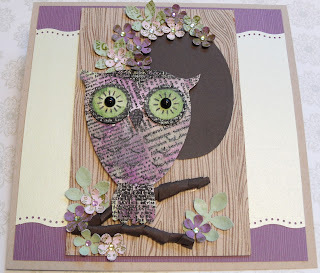 Used the fantasitc Hero Arts Newsprint Owl.